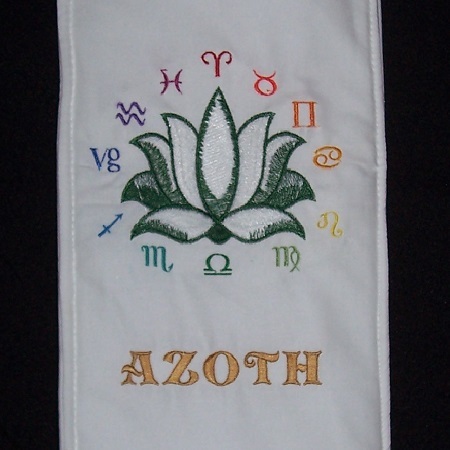 Lotus flower is surrounded by the zodiac in full color. Your motto is embroidered underneath. 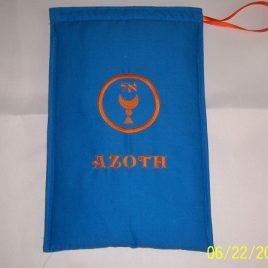 (After ordering, contact us with the motto you would like embroidered on this bag.) Measures approximately 31 inches long. Extremely thick interior padding creates a pillow-like environment to protect this precious flower. Visit www.goldendawnshop.com for fabulous Lotus Wands hand crafted by Chic and Tabatha Cicero. Hand wash gently in cold water. Lay flat to dry. 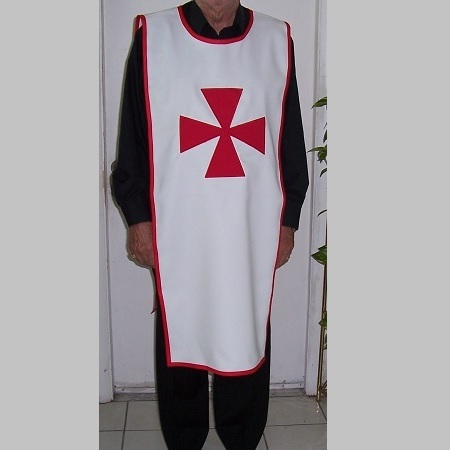 After proper construction and consecration, the Adept's personal Rose Cross Lamen is to remain untouched by any other person and kept wrapped in white silk or linen when not in use. This pure white dupioni silk bag, adorned with a red ribbon rose and a cross of gold, makes a wonderful home for your personal lamen. 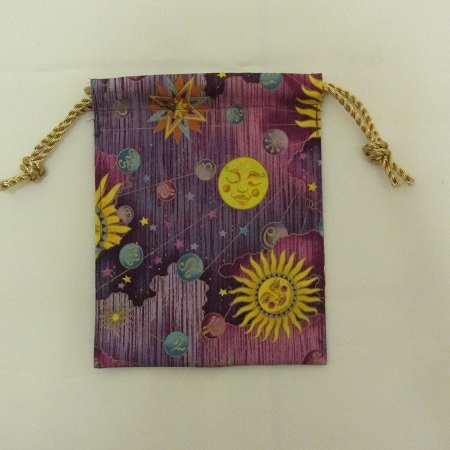 Measures approximately 7" x 9". 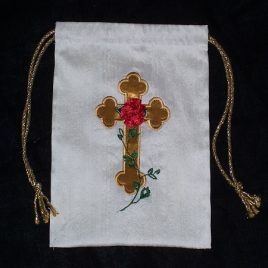 Available with just the Rose and Cross shown in the photo, or you may choose to have your motto embroidered in gold on the reverse side. 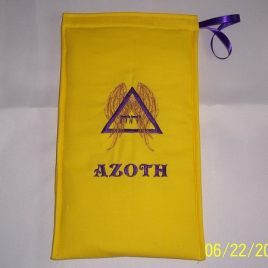 (After ordering, contact us with the motto you would like embroidered on the reverse side of the bag.) Visit www.goldendawnshop.com for Rose Cross Lamens hand crafted by Chic and Tabatha Cicero. A fitting repository for your Earth Pantacle. 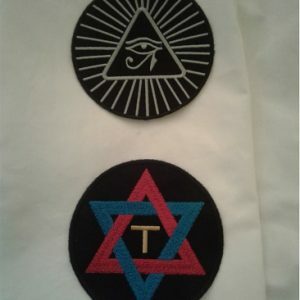 Embroidery depicting the colors of Malkuth are above your motto. 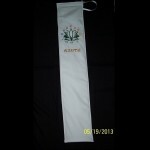 (After ordering, contact us with your motto). Measures approximately 8" x 8". Deep plush padding to protect your precious implement. Visit www.goldendawnshop.com for exquisite earth pantacles hand crafted by Chic and Tabatha Cicero. Stunning embroidery reminiscent of the Cup of the Stolistes embroidered above your motto. 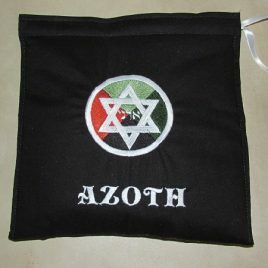 (After ordering, contact us with the motto you wish embroidered on your bag.) 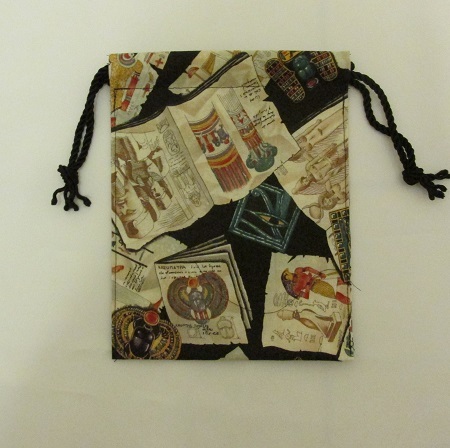 Measures approximately 8" x 12". Thick plush padded interior to protect your precious implement. Visit www.goldendawnshop.com for spectacular water cups hand crafted by Chic and Tabatha Cicero. Upward striving wings entwining a violet flashing color triangle for the element of air. All embroidered above your motto. 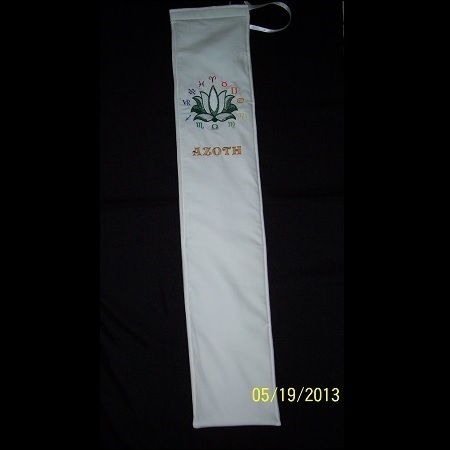 (After ordering, contact us with the motto you would like embroidered on your bag.) 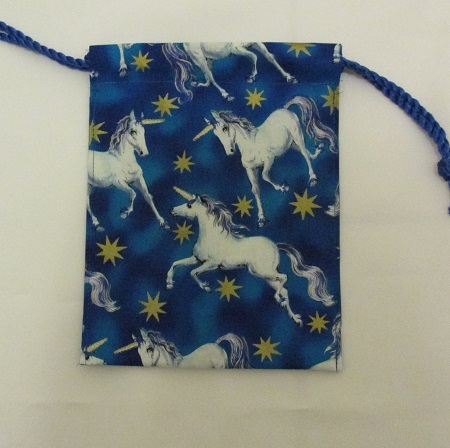 Measures approximately 7" x 12". Deep plush interior padding to protect your precious implement. Visit www.goldendawnshop.com for spectacular air daggers hand crafted by Chic and Tabatha Cicero.